All 14 locations are open Monday thru Friday from 8:00am to 10:00pm, and on Saturday and Sunday from 8:00am to 7:00pm. No appointments are necessary! No commitments, no cancellation, no start-up and no annual fees. We offer Memberships, Packages, and Single Sessions. Use any Tommys location at no extra charge. 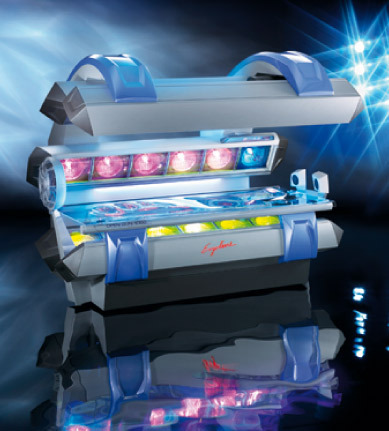 4 Levels of the Top-of-the-line Tanning Equipment. You can lie down in our sun beds or stand up in our booths. Lamps are changed before you will ever ask. Take the uncertainty out of sunless tanning. This cutting-edge technology gives you flawless result in the privacy of an automated spray tan booth. and on Saturday and Sunday from 8:00am to 7:00pm. Membership and 365 Day Package include 20% OFF All Lotions. See Salon for Membership and Package Details. All prices subjects to applicable tax. Making the world a more colorful place one tan at a time. Whether you're looking to get a traditional sun tan or a sunless (spray) tan, Tommy's Tanning is the place for you! We offer 4 different levels of UV Tanning to achieve the best result and the latest technology in the Sunless Spray Tanning. Or you can combine them for a combo!